The Antalya region on the Mediterranean coast of Turkey consists of delightful, small coastal resorts and a bustling city. Nick named the citrus capital because of its mass production of oranges, it is also the second most visited tourist destination in the country after Istanbul and an expat haven. The official government statics portal reports it is the second most popular place for house sales to foreigners. Whether this is buy to let investments or for permanent relocation, walk around the streets of the main destinations, and you are likely to hear more than one language spoken. So why do various nationalities of Antalya expats prefer this area to others in Turkey? The number-crunching portal Numbeo says the cost of living in Antalya is 12% cheaper than the capital of Istanbul and a massive 43% lower than London. Overall, low prices for utilities and daily needs are what have attracted most expats to Turkey no matter where they choose to live. Most buy the property outright with cash, eliminate the need for rent and often deposit savings in high-interest accounts to withdraw monthly, therefore keeping their net worth. Prices of cigarettes and alcohol have risen dramatically over the last five years, but the food remains remarkably cheap compared to other countries. Also, the current favorable exchange rate from the euro, pounds, and USD to the Turkish lira ensures each cent stretches further than ever before. 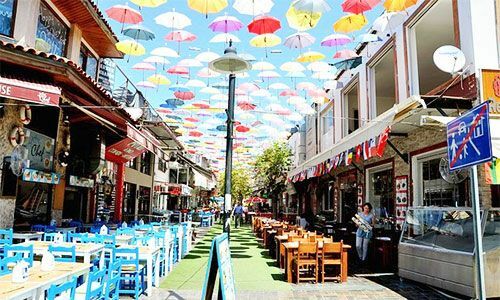 Turkey officially has three different climate systems and Antalya falls under the Koppen CSA classification because of its hot summer Mediterranean weather with mild and rainy winters. The rainy season occurs from January to March, leaving citizens nine months of gorgeous weather to enjoy outdoor living. Think about alfresco dining, swimming in the sea at Christmas, t-shirt weather in March and deep dark suntans in July and August. Aside from the enjoyment, some Antalya expats say the warm weather helps existing ailments like arthritis and skin conditions. The ideal weather climate also encourages them to get active, therefore helping them to maintain a healthy lifestyle. Carrying on the theme of being healthy, Turkey, in general, benefit he hasn't embraced fast food like other countries. While it is popular in the major cities, most Turks still insist on cooking and eating a freshly made meal with only the best ingredients. Salads are a regular dish at most tables as are nuts and fruits. Turkish homemakers still make soups from scratch while even street food revolves around healthy concepts such as corn on the cob or mussels. Frozen ready meals are also pricey, and the Turkish tradition of the weekly farmer's markets is still going strong. Anyone who is seeking an ideal benefit his or her overall health finds it easy to do in Antalya. Aside from the main city center, many smaller coastal resorts spread out over a considerable distance give potential expats a wide choice of destinations to live in. Each of those destinations also has unique characteristics attracting a particular type of buyer. The small hilly town of Kalkan appeals to luxury buyers because of their modern, state of the art villas. 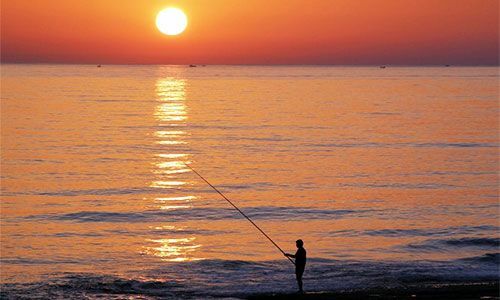 While Belek appeals to sporting fans because of its status as the golfing capital of Turkey, and further, along with the coastline, Alanya has attracted hard-core beach lovers with its sandy havens stretching for miles. Anyone wanting to be in the heart of the action chooses the main city center while Side still retains its reputation as a quaint fishing town boasting of historical importance. The sophistication and efficiency of the local airport have earned it notable awards and fame. Accommodating hundreds of domestic and international airlines every week, Antalya expats have easy access to the rest of the country and the world, especially Europe. During summer, its international terminal is busy round the clock as hundreds of nationalities arrive for their holidays, and even in winter, while the other major holiday airports like Bodrum and Dalaman virtually stop, Antalya airport just keeps on going. 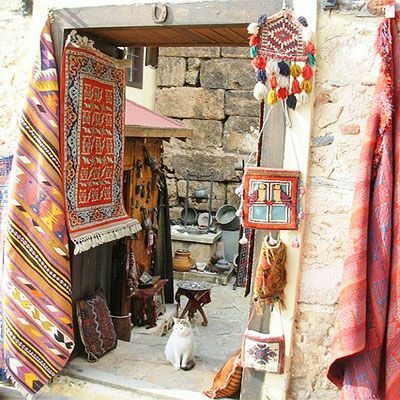 From your simple weekly food shopping to decorating the home or updating your wardrobe, Antalya has some of the best shopping facilities in the whole of Turkey. Major supermarkets are in all the small towns of the region, and the main city center is proud to boast about its all-inclusive shopping malls. Including Terra City, Deepo Outlet, and the large Migros shopping center, expats find everything they need under one roof from brand-name stores, cinemas, food courts, and childcare facilities. Naturally, given the large size of the region, the nightlife choices are also endless. Most Antalya expats prefer the seaside Mediterranean dining style, especially in summer. The cool evening air lends weight to al fresco eating as friends gather to enjoy Turkish mezes, fresh fish, and seafood, along with fine wine and good company. Youngsters flock to large, sophisticated nightclubs, blasting out the latest top hits from both the Turkish and western music scenes. Otherwise, small bars and themed pubs are friendly places to grab a snack and a pint, while enjoying live music by a local band. A distinct advantage is the D400 highway connecting all coastal resorts and the main city center, making it easy to go where you want, when you want. An efficient bus network runs regular and cheap services so if you fancy an overnight trip to the seaside-fishing village of Kas, just hop on the bus. Alternatively, for a weeklong adventure, hire a car and take in all the historical sites such as Phaselis, the burning flames of Chimaera and Aspendos Theatre. Antalya is one of the best places in Turkey for road trip enthusiasts. Antalya has a prestigious reputation as one of the pivotal points of the Turkish Riviera. Everyday sailing boats depart from the harbor to take passengers on a cruise around the coastline. Some of the best boat builders in Turkey, specializing in gulet cruising yachts, live in Antalya. This traditional structure of Turkish boats is home for three or four nights as clients enjoy the pleasure of sailing the Turkish Riviera. Lastly, the real estate market offers Antalya expats everything from cheap, budget studio apartments to luxury, state of the art villas. With prices starting at an average of 40,000 euros, potential property buyers will find a home in one of the many seaside areas to suit their dreams of expat life in Turkey. See all the property for sale in Antalya and the surrounding districts here or contact us to receive deals on the latest bargain homes and real estate market news for Turkey.